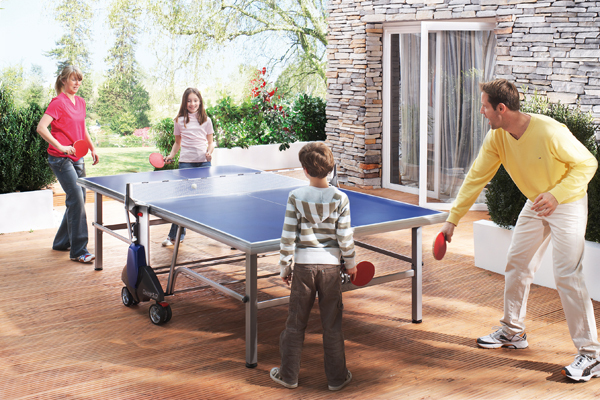 Outdoor table tennis is a great sport for all ages. It promotes development of hand-eye coordination and teamwork. 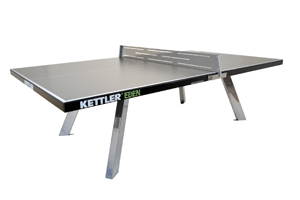 As early as the 1960s, KETTLER engineers discovered positive attributes of aluminum for table tennis. 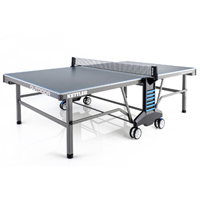 Even today, KETTLER aluminum table tennis tops are regarded as a pioneering technology in the development of weather resistant outdoor table tennis. Our ALU-TEC™ aluminum tables are manufactured in our German factory by encapsulating a resin treated board in aluminum. This process permanently seals the wood for years of durability while allowing the playing surface to retain a true bounce for exciting outdoor play. Following an extensive series of stress and stability tests, all KETTLER outdoor tops are fitted with ALU-TEC™. 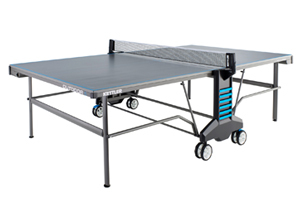 The materials for our aluminum table tennis table are tested with reference both to the bounce behavior of the table tennis balls and their reaction to various climatic conditions. 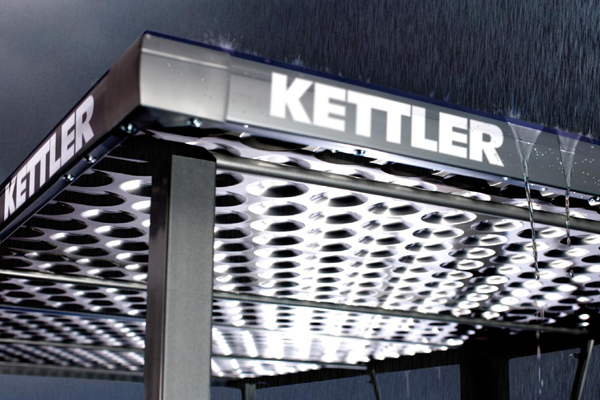 The special coating developed by KETTLER provides the perfect anti-dazzle and UV-resistant surface.